Diameter: 37 cm. 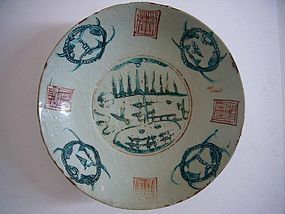 China, 16th/17th century. Condition: age wear and rim fritting, no cracks or repairs.